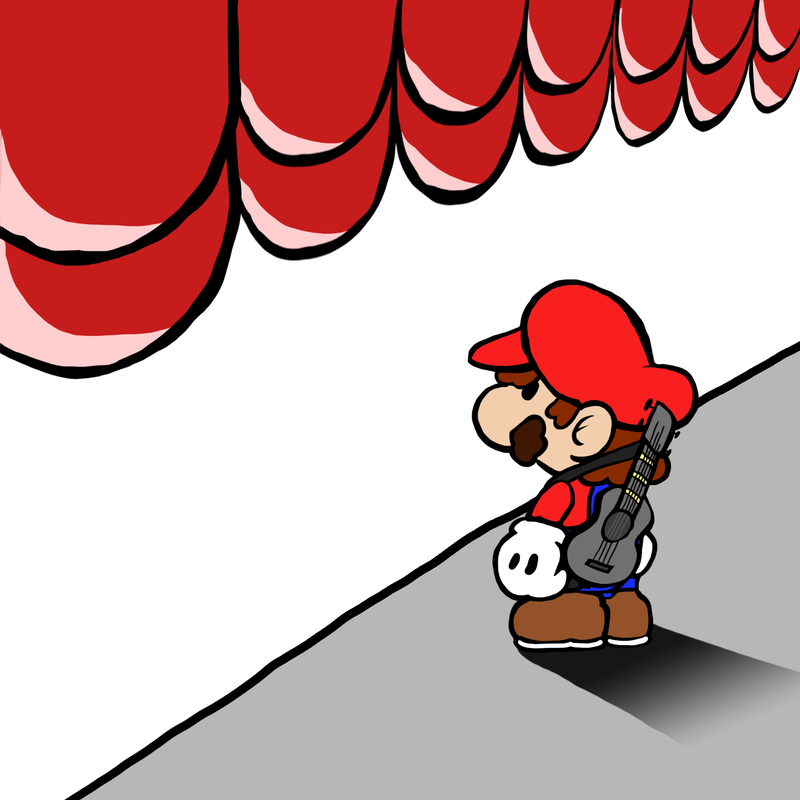 I only had maybe 20 minutes to do my drawing today, so I decided to get started on some Ukulele Mario edits. Some were suggested by my cousin, Eric. The guy that originally asked for the design. I really just wanted to create a scene for Mario to be in. As I mentioned yesterday, I like the idea of Mario being on stage moments away from playing a tune. Okay, that’s it for me today! This is two days of slacking in a row. I’ll have to make sure I set aside a few hours to work on this tomorrow. This entry was posted in Character, Nintendo, Photoshop, Scene, Work in Progress. Bookmark the permalink.